American Welding Society - Detroit Section hosts technical meetings in Clinton Township, Michigan, as well as Detroit and the surrounding areas. 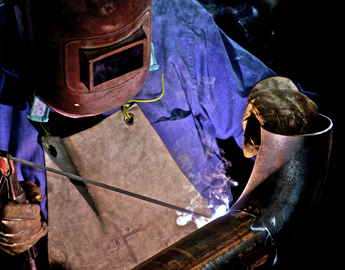 Sign up to attend our annual welding conference or come to our meetings to share your findings or learn from leading experts. The SMWC is the premier technical conference dedicated to bringing experts together. Industry leaders discuss state-of-the-art welding and joining technology for the automotive, transportation, and light manufacturing industries. SMWC also provides important opportunities for engineers and researchers from manufacturers, suppliers, universities, and research institutes to network and meet others in the field of welding. The 17th annual SMWC will emphasize recent developments in welding and joining solutions that enable lightweight vehicle design and construction. You are invited to submit technical papers for presentation at this conference. Monthly technical meetings are typically held the second Thursday of every month. We welcome all members and non-members to our sessions and events! Contact John Sutter for details and reservations. We host numerous sponsor events throughout the year. Our most recent American Welding Society - Detroit Section sponsor event was held at the VisTaTech Center at Schoolcraft College (located at 18600 Haggerty Highway, Livonia, MI 48152) on March 10, 2016. This event included a variety of educational seminars, including a die welding seminar and a weld mold presentation. At our events, we also allow time for a question and answer session with industry thought leaders from around the nation and local vocational schools.